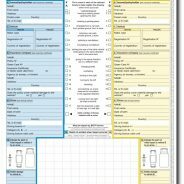 Since the 9th of June 2011 Car Travel Docs is allowed to host the official European accident statement. We have worked hard to obtain the original versions from the CEA in Brussels and insurance organizations in each country. Slowly we are extending our list of documents and we hope to provide you with the documents you need to travel save on your holidays.